A groundbreaking black jurist who became the first Muslim woman to serve as a US judge was found dead in New York’s Hudson River on Wednesday, police said. Sheila Abdus-Salaam, a 65-year-old associate judge of New York’s highest court, was found floating off Manhattan’s west side at about 1:45 p.m. EDT (1545 GMT), a police spokesman said. Police pulled Abdus-Salaam’s fully clothed body from the water and she was pronounced dead at the scene. Her family identified her and an autopsy would determine the cause of death, the spokesman said. 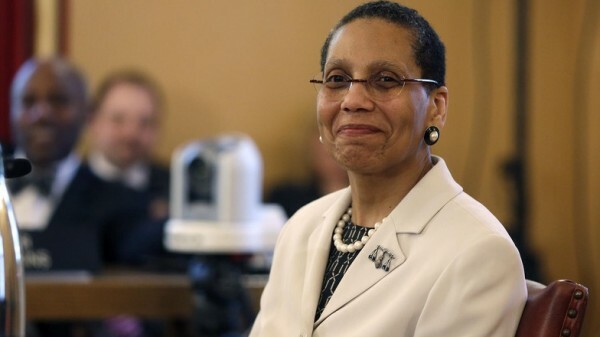 Abdus-Salaam, a native of Washington, D.C., became the first African-American woman appointed to the Court of Appeals when Democratic Governor Mario Cuomo named her to the state’s high court in 2013. “Justice Sheila Abdus-Salaam was a trailblazing jurist whose life in public service was in pursuit of a more fair and more just New York for all,” Cuomo said in a statement. The Princeton Encyclopedia of American Political History said Abdus-Salaam was the first female Muslim to serve as a US judge. Citing unidentified sources, the New York Post reported that Abdus-Salaam had been reported missing from her New York home earlier on Wednesday. Attempts to reach her family were unsuccessful. A graduate of Barnard College and Columbia Law School, Abdus-Salaam started her law career with East Brooklyn Legal Services and served as a New York state assistant attorney general, according to the Court of Appeals website.